George Herbert Walker Bush was a real president, one whose life and service stood high, above the crowd. 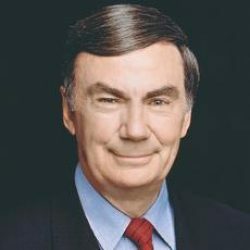 I covered his public life in one way or another beginning in 1970, when I moderated a debate in Amarillo, Texas, on the ABC television affiliate between the two contenders for an open Senate seat – Bush and Democrat Lloyd Bentsen. I thought the debate was a draw but Bentsen won the election. As you know, Bush then filled a succession of political posts – Chairman of the National Republican party (thanks to Richard Nixon), Envoy to China, CIA Director, Vice President and President. In later years Barbara was fond of quipping that she had loved her husband dearly for so many years and the only bad thing she knew about him was that he couldn’t keep a job! Bush was a moderate republican by the standards of his time, meaning he adhered to the fundamental party principles of, fiscal responsibility, upward mobility through the free enterprise system and hard work and a government that helped where needed but otherwise got out of the way. In running against Ronald Reagan for his party’s presidential nomination in 1980, he called Reagan’s “supply side” economics “Voodoo economics,” which it was. So to try to convince the hard right conservatives of his party that he had recanted he famously told them to “read my lips…..no new taxes” during his 1988, convention acceptance speech. Only, once president to make a deal with the Democrats to sign on for a modest tax increase. One that helped lay the foundation for a return to fiscal sanity that resulted in the last four Clinton budgets to produce a surplus, not another huge deficit! But the hard right never forgave Bush and didn’t work hard for his re-election. However, that wasn’t what defeated him in 1992. It was that regardless of his achievements, he was not a good “press the flesh, I feel your pain” politician running against the most formidable practitioner of that art I’ve ever seen. Bush’s father, Prescott (who was in the Senate when I came to Washington) taught his son to be reserved, formal, correct and basically a “patrician.” But underneath that sometimes off-putting exterior was the heart and soul of a warm, caring and compassionate human being. Bush loved to write notes to just about anyone he met and interacted with. Every reporter who came in contact with him has a box full of short notes from GB. He wrote many, many long letters to family, friends and others and in 1999, published a complication of some of those notes and letters. I interviewed him about this for our ABC NEWS 20/20 television magazine program. Watch it now, please. The 20/20 anchor Jack Ford introduces the interview and he and co-anchor Connie Chung discuss it briefly afterward. Yes, George Herbert Walker Bush was a Real President and a Great, Good Man. As the saying goes, We never know how much we miss something until it’s gone.